This comes a couple days early, but I kept needing to refer to April for birthdays and other events so here it is! 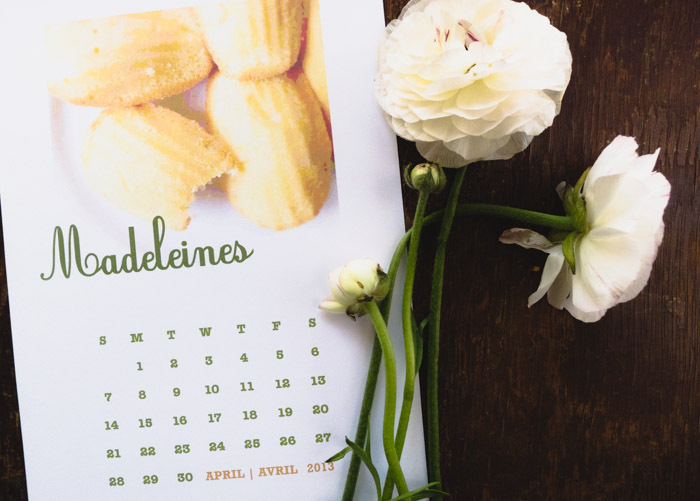 Hope it's useful to you as well... a very sweet April to you! Simply download (below), print and cut on the dotted line. I like to use plain card stock but any paper will work. So great to have you visit Daydreamer :) Spring's been so timid this year (and missed her official start date)... hope you're enjoying warmer temps in Paris!